The Hot Rods struggled this week, finishing 2-5 on the week. They have fallen to 25-21 on the season. They remain in third place in the division and trail the leaders by 2.5 games. 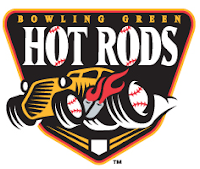 The Hot Rods have a chance to close the gap as they play a four game series at home against the division leading Lansing Lugnuts this week. Transactions: Kyle Holloway transferred to extending spring training (5/23/11). Julio Cedeno added to roster from Charlotte (5/23/11). The Week Ahead: 5/25/11-5/26/11: at West Michigan Whitecaps (17-26). 5/27/11-5/30/11: vs Lansing Lugnuts (27-18). 5/31/11: vs Wisconsin Timber Rattlers (26-19).